Is Photoshop for Chrome OS going to kill GIMP? There are two interesting points that seem to prey on people's minds today: is Project Photoshop Streaming for Chrome OS the first step to Photoshop on Linux? Will it, therefore, threaten GIMP in its own habitat? All good questions, let's dive into this. Don't panic. In fact, never panic. Why did Adobe go for Chrome OS? Adobe exited Q2  with 2 million 308 thousand paid Creative Cloud subscriptions, an increase of 464 thousand when compared to the number of subscriptions as of the end of Q1 fiscal year 2014. As you can see, Adobe increased Creative Cloud subscriptions by ca. 1.4 million users over a year despite all sorts of complaints about forcing users to give up and embrace the SaaS model. Nothing is forever, of course, but it does look like Adobe is going to keep its market dominance for years to come. Since the start of the year (January – May), Chromebook sales within the U.S. Commercial Channel increased 250 percent year-over-year and accounted for 35 percent of all channel notebooks sales. According to The NPD Group Distributor and Reseller Weekly Tracking Services, total notebook sales through the U.S. Commercial Channel increased 36 percent, desktop sales jumped 24 percent, and overall PC client volume rose by 1 million units so far this year. Windows notebook sales were flat and Macbook sales increased more than 20 percent. Not too bad for a product that only started shipping in 2011. And then there's the whole topic of the Google Chrome browser that does have a major piece of the market's pie too. 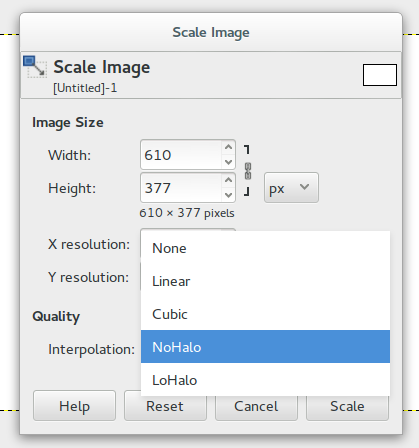 Is this the beginning of Photoshop for Linux? Project Photoshop Streaming is identical to the Photoshop you’d install locally..., however, instead of being installed on your local machine, it is running in a virtualized environment so can be accessed from any Chrome browser or Chromebook. Creative Cloud products will continue to be available as local download and install. While this doesn't exclude the possibility of CC apps becoming true web apps in the future per se, this is simply not happening just yet. Neither is there any indication that Adobe is interested in porting Photoshop (or any other CC apps) to Linux. Will this move threaten GIMP et al.? Now that is a very sensible question. Here are some important considerations. Pricing. Adobe is rolling out Project Photoshop Streaming to educational institutions first (North America only for now), with other target groups to follow. This makes a lot of sense: if you want loyal customers, start growing them early on. Ideally, that's where free/libre applications are supposed to have an advance over proprietary ones even with academic licensing in place (Adobe provides an up to 60% discount for teachers and students on available subscription plans). But the topic of extrapolating skills acquired with GIMP to Photoshop, as well as being able to survive in a Adobe-centric (or, rather, PSD-centric) company is a huge can of nastily looking worms. Students expect to land a nice job, after all, what with student loans looming over them. Performance and color fidelity. Since we are talking about a native app running in a virtualized environment, it looks like we are talking about VNC-like communication where you basically interact with JPEG screenshots of the actual user interface that a server keeps sending to you. That is, you get lags (digital painting, anyone?) and, potentially, JPEG compression artifacts. Providing reliable color management over network would be another tough task to accomplish. It's going to be interesting to see how Adobe will tackle this. Vendor lock-in for file storage. Within the Streaming project, Photoshop was customized to save everything to Google Drive, which is only to be expected with Chrome OS. That's what you get for a $199 laptop that works as a thin client only. Project data storage. Even with events like recent bump of available disk space at Dropbox up to 1TB for $10 a month, handling large bitmap project data from Photoshop is going to be an issue when it comes to cloud-based storages. Not exactly a novel solution. In late 2013, rollApp released GIMP, Inkscape, and more free software as Chrome apps. This solution turned out to be a double-edged sword. There is no innovation there, as the company brings no added value to customers except forcing them to use cloud storage (and that's a questionable benefit). However customers appear to like what they get: the vast majority of reviews of both virtualized GIMP and Inkscape is positive despite of the aforementioned JPEG compression artifacts, interaction lags, and lack of updates (both GIMP and Inkscape provided by rollApp are badly out of date). Don't panic about the threat for GIMP: there's still time, and Adobe most likely doesn't care all that much. And don't get too excited about Photoshop on Chrome OS either: there's much to be done yet. With introduction of the Project Photoshop Streaming, Adobe is placing one vendor lock-in over another, which, admittedly, many will happily embrace, while others will stick to either Photoshop CC or earlier versions. Should you adopt it, you are likely to deal with network latency, connectivity issues, and insufficient color fidelity as well. You might live happily with those deficiencies, you might be dragged off by GNU activists, kicking and screaming, or you might stay indifferent and keep using existing software. Either way, polishing this will take some time, and whatever free apps follow this route, they will have to deal with the exactly same issues. It's rather obvious that web-based apps are getting smarter and more capable. In fullness of time, they might wipe out the software ecosystem as we know it. Which is why it's great to see free/libre projects such as Gravit and Metapolator emerging. One breaking point for making this free/libre cloud-based software sustainable will be solving the data storage issue. Today, locking users to a particular cloud storage of data is practically the core of SaaS businesses, and it's not easy to devise a revenue model that would involve both free software and federated or self-hosted storages. It's entirely possible that in a future SaaS-dominated world, libre end-user software might stay marginalized. It is, however, worth thinking about (especially if you are of radical FSF persuasion), how the entire community could grow reality check muscles and start figuring out, if there's a way to stay relevant, when SaaS is a dominant model. Because we'll live to see the day. In fact, it's about 8:30pm the day before. 42 Responses. Comments closed for this entry. Gimp, IMO, is a software without a idea behind it. It’s rather training room for programmers, where they can show that “we can do this, we can do that”. I’d love KRITA to be equipped with some photo features, including hosting for Adobe plugins. I don’t know how it is for designers, but from talking with professional photographers who have switched from GIMP to Photoshop, there was nothing in particular wrong with GIMP in itself, it was just that the rest of the community uses Photoshop, so all the tutorials are for Photoshop, and similarly the plugins and actions that the rest of the photographers recommend only work with the Adobe programs. That network effect is really hard to get around, and it won’t change without either working really hard to get stuff like gimp-sharp resurrected and improving the various Photoshop import features, or getting some killer features such that more pro photographers start using and recommending and making tutorials for GIMP (here I think Pat David is onto something). Should your comment be taken less literally, it still puzzles me, why exactly not updating the roadmap is a bad thing. Photoshop on linux or not, I really hope something will shake up the Gimp development. Gegl goodness was promised years (decade?) ago and there is still nothing really usable. The advanced resamplers crowdfunding currently looks like a scam. And the last exiting feature I remember was the single-window mode. Don’t get me wrong, I think Gimp is more than good enough for a lot of tasks, but there is a lot of room for improvement and I have the feeling that the dev team really lacks ambitions. Gegl goodness was promised years (decade?) ago and there is still nothing really usable. Up to 64bit per color channel processing? On-canvas filter preview? Support for up to 32bit per channel TIFF files? Reading/saving various HDR files? The advanced resamplers crowdfunding currently looks like a scam. He got half the money and implemented half the resamplers he promised. How is that a scam? And the last exiting feature I remember was the single-window mode. My bad. But is this the development version? The last version available to common people is 2.8 and all those features are not here. When can we hope to get the next release? About the resamplers, I sincerely wasn’t trolling, the last time I checked the freedomsponsor page I read that he had a new job and no more time for this project despite the money earned. My apologies if I didn’t get the part in that 10m long webpage where he said about those two resamplers. If the dev version is so full of good things, why don’t they release a 2.8.5 version? 2.8 came out in spring of 2012, it’s an eternity. If you are not interested in compiling the code, you can use builds from partha.com. In a nutshell, releasing 2.9.0 as the first step towards 2.10 means completing a few other things. The first link I provided in an earlier comment specifically addresses that. I was referring to the lower section “Expected availability of developed features” but I can see from the history that the date stated there (“Last updated: 25.05.2013”) is wrong. I just believe that in order to attract developers, you have to give some time frame in which they can expect their work to get to actual users (I did for some time install dev snapshots, but most people don’t). A road map that states a date in the not-to-distant future might help. One that states “nothing happened for over a year and we have no idea when something will happen” surely doesn’t help. It’s pretty depressing that free software will be more and more marginalized which means new generations of users won’t be going to use either because they can’t install it on their locked down system, and even if they can, they not going to like it because they’ve accustomed to proprietary software. If things continuing this way Free Software is going to be extinct silently. And I just can’t see trends to reverse it. I’m sort of content with free graphics tools, but I fear that over time, I won’t be able to install unless I became a hacker. By the way: what can I do to make Gimp’s UI better? I’m don’t want to demand features from other applications, just want to point out some things which I don’t like in the current UI. I replaced photoshop with gimp for production and after a few months, I could do all with it I wanted. When I have to work on photoshop, it is simply not as handy as gimp, sorry. So keep up the good work, gimp developers. Photoshop doesn’t have to kill what is already dead. I enjoy using GIMP, but the fact remains that with the small amount of time the few volunteers have available for gimp development, the port to GEGL will not happen anytime soon. Looking at the matrix showing the breakdown of what needs to be ported, you can see that they’ve barely made a dent. Even if they do manage to finish GEGL, they will be faced with the even bigger task of redesigning the UI to properly work with a non-destructive workflow as well as port to a newer toolkit. I don’t want to discourage the people who generously donate their time. But I just don’t see gimp getting past the GEGL obstacle without either corporate sponsorship, or a rockstar developer comming on board. Rockstar develpers are people like Boudewijn Rempt, Paul Davis, and Ton Rossendaal. And they are not easy to find. “Project Vision”. But not enough developers to bring them to fruition. I would also take Photoshop over Gimp. Better features, more intuitive. Works and integrates with the best photography plugins out there. And high bit color depth. Which I do need. Not 20 years from now. Also read that Adobe has taken down the free Adobe Acrobat Reader for the Linux platform. Linux devs need to start producing and marketing prosumer applications and stop forgetting about desktop enviroments. Link to Acrobat Reader news. I am reading about “staying relevant” and “marketing”. Am I the only one who makes free software because he likes doing it and feels good giving his work away? I don’t think that “marketshare” is anything we* should care about. It’s just not relevant. We* don’t get payed, we* don’t gain anything (besides annoying users) so everyone stop complaining. That is not how things work. Either help or be grateful to get something for free and STFU. We* don’t owe you anything. * When I say “we” I don’t want to imply that I can speak of the whole of the free software developer community but at least the ones I know personally share this view to some degree. Only thing that GIMP should have all time is layer effects to fully support .psd format and to speeeeeeeeeed up workflow. In the early 2000’s GIMP might have had a chance but Adobe reacted. Photoshop is a moving target and kept improving. Photoshop Elements cleaned up the budget end of the market. The Creative Suite provided another cost advantage. Graphic designers seem to have few problems paying for software and billing their clients accordingly to recoup that cost. Cost is simply not as compelling as freedom. Even with their new subscription services I don’t think Adobe have squeezed their users too much yet that they will sacrifice convenience for freedom. The word you are looking for is “sustainable”. At a certain point the amount of code to maintain + further development become too much for a project where only volunteers work in their spare time. Remember the Gooseberry project by Blender Foundation? A while ago Ton had promoted the idea that Blender doesn’t need more users than it already has for now. As the result of the Gooseberry fundraiser, however, the Foundation ended up cutting their new animation movie plans down to size because of insufficient funding. > The word you are looking for is “sustainable”. > At a certain point the amount of code to maintain + further development become too much for a project where only volunteers work in their spare time. Many latest great features of Gimp have been sponsored by Google as well (through the Gsoc). At present, I suppose Adobe is not *economically* interested in fully porting Photoshop to Linux. From what I have read in the past  by Adobe developers, it looks like Linux, as a whole, is too much fragmented (Unity, Gnome, Kde, Cinnamon does it ring a bell?...). In addition, the user base is too small (around 1-2% of Desktop users) and little interested in paying for Photoshop. Instead of thinking in PhotoShop or other commercial software, we should discuss how to make GIMP better without looking those other closed-source programs, nor steer the GIMP development to what PhotoShop user want/wish. How can we make GIMP developers are more open to collaboration and external suggestions? How can we make development faster? Could open funding projects or get sponsors be useful like other OpenSource projects? How to get more developers interested in GIMP? How to get users more involved, promoting GIMP with help and creating more GIMP tutorials? Is there only users complaining about GIMP, or there are also developers who do not like how the project is aimed? If there are developers who are disappointed with the project, would be forking an option? Maybe than we will have layer effects in GIMP? For thousands year maybe? You don’t hear Mozilla devs or Libreoffice devs complaining about Linux having a variety of desktops. That’s choice! Adobe devs are just plain lazy, and think they have the power to dictate what platforms should do to support their agendas. Sorry Adobe!. You have to work around our platform, not vice versa. So start teaching your high paid lazy devs QT and GTK. Make them earn their high paid saleries!!. >that’s choice! Adobe devs are just plain lazy, and think they have the power to dictate what platforms should do to support their agendas. Please, just read  carefully the posts by Chris Cox (he worked as a Photoshop programmer when the thread started on the Adobe forum). > Again, we’ve done the research. The profits aren’t there—very few Linux users are willing to pay for commercial software. > And the cost of entry is still high because of the fragmented Linux landscape. > The Linux world has to change before commercial software will have reason to invest in Linux ports. > And we haven’t seen much real change in the Linux market in several years. IMHO, every comparison with LibreOffice and Firefox (both working fine on Linux) does not make much sense. In short, because there are plenty of full time LibreOffice developers paid by company such as RedHat, Collabora (previously by Novell), Canonical etc to work and test LibreOffice on their Linux Distros (e.g. on Fedora, Ubuntu, OpenSuse etc). Firefox (on behalf of Mozilla) has been heavily sponsored by Google in the past (and we are talking about millions of euros here…). Lately, Adobe has dismissed its support on Linux regarding its Adobe Reader software. Both GIMP and Photoshop Chrome OS are great products. But since Photoshop is very well known, the Chrome OS extension is a smart move! Gimp is not a Photoshop alternative. It’s just another free tool that can get the job done in some cases. I don’t see anything that yet that can replace Photoshop. so why adobe doesn’t make stable photoshop for OS Chrome? I think they must improve the version of its version so that stable if they wanna service us. If there is no changes for this version, they’ll fail. It’s not possible to kill Photoshop easily. I think Gimp is not the competitor of Photoshop. It seems same with Photoshop but has a difference. Photoshop will be around when GIMP dies… It is on a whole different level and gives users an experience not easilly replaced. Webbased programs are nice, but then I prefer to keep my data localy at my computer and not in the cloud. Not so critical data might be stored in the cloud. Photoshop is a very vast and user friendly tools is it can not replace easily, but it (GIMP) can be second choice. I still like Photoshop, maybe this could be better, I’ll try it.